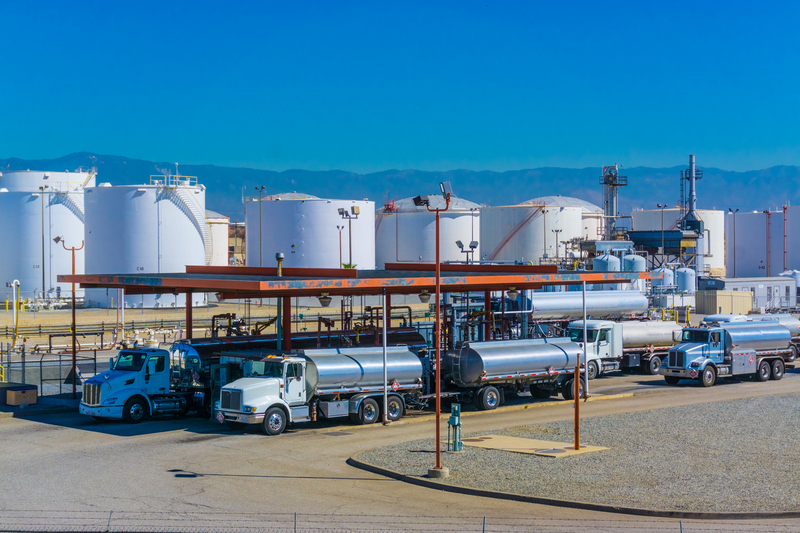 In the refined fuel transportation industries, when it comes to choosing the right gasket or O-ring for the job, it’s important to remember: not all seals are created equal. If these key components aren’t up to the job, leaks and other problems can occur. The problem is, seals come in a variety of materials and grades—something many people don’t realize. That’s vital in the fuel transport industry because modern-day gasoline and diesel fuels are comprised of an alphabet soup of additives used to keep engines clean and lubricated, to boost gasoline's octane rating and to reduce harmful emissions. Many of these additional chemicals are solvents, which, over time, degrade rubber seals. The other problem, explains Koeninger, is that different fuel companies use different additive packages, so it’s important to use a material that works effectively no matter the chemical mix. So how do you know which grade of FKM is right for the job? Different types of FKM seals differ in fluorine content, durometer and curing method. Typically, the higher the fluorine content used in producing the rubber compound, the higher its resistance to chemical degradation. Seals are graded depending on the amount of fluorine in the mix, and the higher the letter or number, the higher the fluorine content and the more chemically resistant the seal. So, a seal made from Grade A (or Type 1) FKM, which has a fluorine content of 66 percent, might work fine for general-purpose uses. But you’d want to use a higher grade--B, F or G, for instance--when it comes to transporting or storing oxygenated fuels or biodiesel. 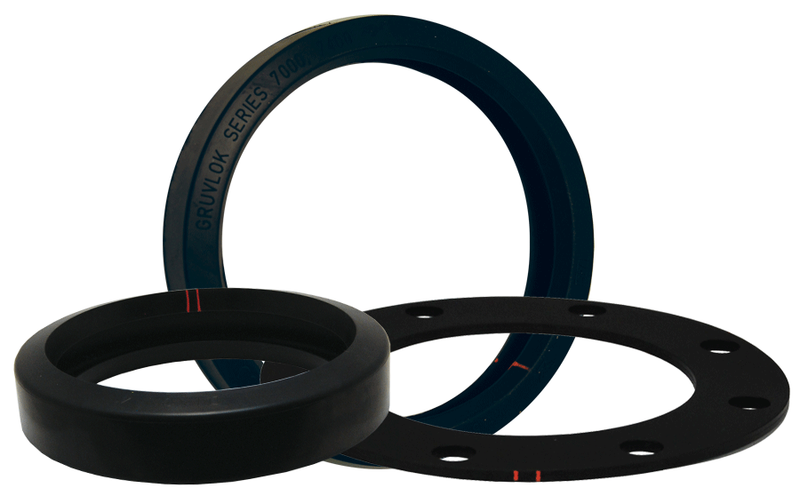 Specialty seals, often graded as GFLT, are used in ultra-harsh conditions, such as the oil exploration industry. But, as Koeninger says, “as the alphabet goes up, the price increases. By the time you get to GFLT from A, it’s like one’s made out of aluminium and one’s made out of gold.” But if your application calls for chemical resistance and low temperature then use a GFLT seal, it’s money well spent to avoid possible failures. After ethanol became a widespread additive in gasoline, Dixon Bayco, working with an outside manufacturer, introduced Baylast, a proprietary rubber polymer that accomplishes many of the same goals as FKM. It works well under low temperatures (to -30°F), and holds up to all current modern fuels. It also helps solve the compatibility problems between seals used for gasoline and/or ethanol. “We conducted extensive testing with many different fuels and found that Baylast will work equally well in either gasoline or ethanol, as long as it’s in refined fuels and a tanker isn’t hauling a 100 percent additive package that goes into gasoline,” says Koeninger. Another advantage to Baylast, he says, is that it’s less expensive than comparable grades of FKM—and it works just as well. Other seals used in the industry include those made from EPDM (ethylene-propylene-diene-monomer) and Buna-N (nitrile butadiene rubber). But, Koeninger advises, users have to be careful when it comes to these products for fuel transport. Buna is much less universally resistant than FKM Type 2. Modern fuel additives also tend to attack Buna-N, so it is not compatible with all fuels. EPDM, on the other hand, can be used in 100% ethanol environments, but most tankers load both hydrocarbon fuel and ethanol, which makes it ineffective for most fuel transport work. When it comes to choosing a material for a seal, gasket or O-ring, the key takeaway is that there is a significant difference between products. Consider all aspects of the application before placing an order. And remember the alphabet, says Koeninger. The higher the letter or number, the more resistant the seal. Do you have questions about your application? We would love to help.